Professor Folasade Ogunsola is the current Provost of the College of Medicine, University of Lagos, Nigeria. She obtained a Masters in Medical Microbiology from the College of Medicine, University of Lagos followed by a Ph.D. in Medical Microbiology from the College of Medicine, University of Wales, Cardiff. She is the first female Provost at the College of Medicine, University of Lagos in its 50 years of existence. 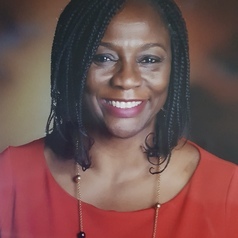 Professor Ogunsola is the Principal Investigator of the AIDS Prevention Initiative in Nigeria (APIN) (a PEPFAR grant) at the College of Medicine, University of Lagos and Site Principal Investigator of the Medical Education Partnership Initiative in Nigeria (MEPIN). She has been instrumental to setting up infection control programs in a number of institutions in Nigeria and was the Chair of the Infection control committee of the Lagos University Teaching hospital till December 2012. She is a member of the WHO technical working group on Infection Prevention and Control and a member of the WHO AFRO regional rapid response group of experts.